After seeing off Castlewellan in the 2018 Down SFC quarter-finals, Paddy O’Rourke’s Burren side turned their attention to a semi-final meeting with Mayobridge. It was a game fraught with danger. 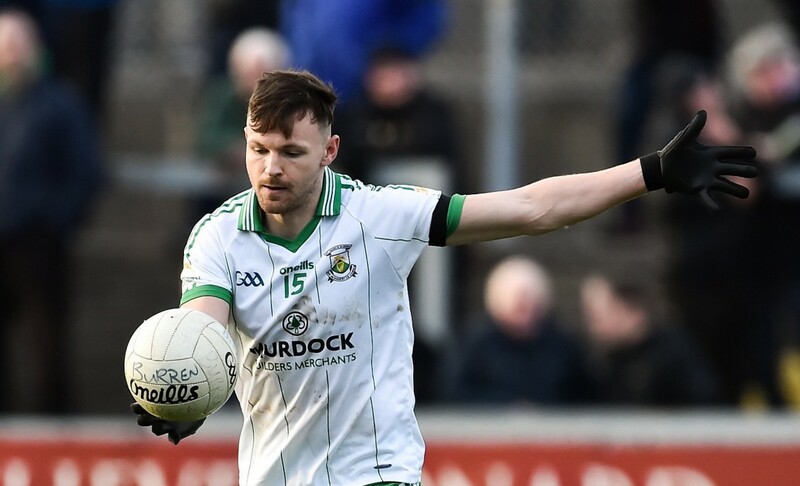 Down’s Keith Quinn had flown back to the country so he could tog out for his club as they attempted to reach the county final for the first time since 2012. Burren needed to do everything in their power to win this one. And at a crucial moment, Performa Sports came to their aid. Paul McCartan, coach and selector explained: “We were eight five down at half time. We had conceded the last couple of scores of the first half. The information that we got at half time helped us to where were going wrong as a team and areas where we needed to improve. “We had looked at key players for Mayobridge that we weren’t putting a clamp on. Guys that we needed to control were having a bigger bearing on the game than we were hoping for. In this case, they worked a charm, and were it not for the suggestions made by Performa, the game may have been a lot closer. Burren went out and won the game by 5-12 to 2-11. “We went out in the second half and literally within 15 minutes the game was over. We scored five goals. McCartan said that they also were able to pressurise kickouts, something that they had worked on in the lead up to the game, but the Performa system highlighted that they had not executed during that first half. McCartan emphasised that the players are desperate to get information, but the system only works if there is input from all sides. The managers have their opinion, the Performa Sports system provides the stats, but McCartan said that the players feed back helps too. He said that as it is the club’s second year using the system they are all more familiar with the process. “We have had it the last two years. You were getting used to it, players were getting used to it. It has been very beneficial. It’s not one part of it, it’s the whole package. “Before our game we would have went through things. We did a video session with the team about what we were looking to do. That led into the match itself. and the big thing for us was getting information at half time. The tackle count for example. The actual information that you were able to relay to players. What is also important about the Performa System is the quick turnaround. The Down Championship began in mid August, but as there was a back door system, games were played every weekend in August. There was a fortnight between round three iand the quarter-finals, and the same for the quarters to the semis, and then the semis to the final. McCartan said: “Giving the information on our match and our opposition to Danny and turning around areas that we felt that we could have an impact against Kilcoo in the county final. Danny is able to do that up into a compilation that we would be able to show the players. “That has got to be done quickly. It can’t be done in the week of the game. We need to show that to the players and then take it onto the training field. There is no point that information coming four or five days before the game. That is too late. You need four or five training sessions so you are able to get what we feel is going to work in a match. He added that the Performa Sports system is popular with players because they can look at their own data at any time. “From our point of view guys who are on the county are getting this all the time, but at club level, the more professional you make it the more you can get club players to buy into it.